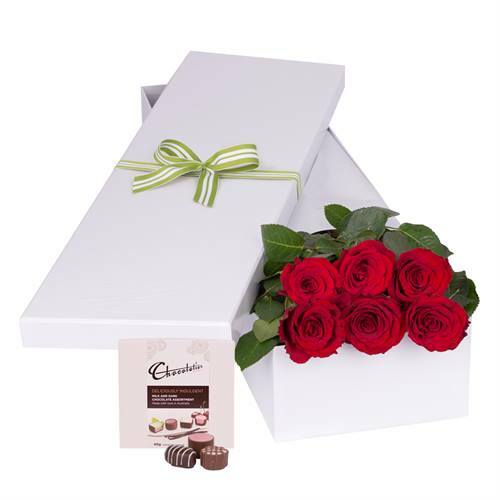 An exquisite presentation of 6 stunning red roses plus delicious gourmet Chocolatier chocolates. Presented in our elegant gift box, this is a top seller - and you can see why! 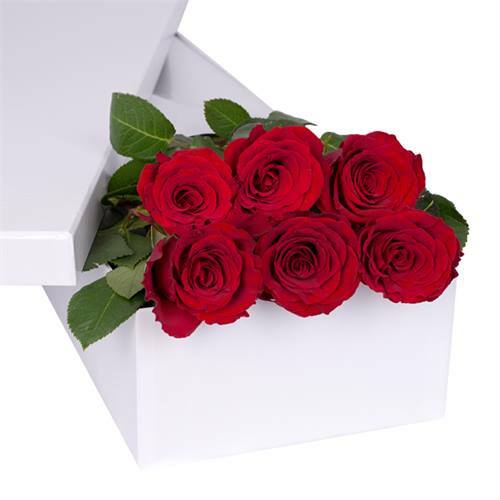 6 Long Stem Red Roses With Chocs Gift Boxed An exquisite presentation of 6 stunning red roses plus delicious gourmet Chocolatier chocolates. Presented in our elegant gift box, this is a top seller - and you can see why!